If you've always longed to grow a palm tree, but thought they were only meant to grow in balmy tropical islands, you will find the Windmill Palm to be a dream come true. 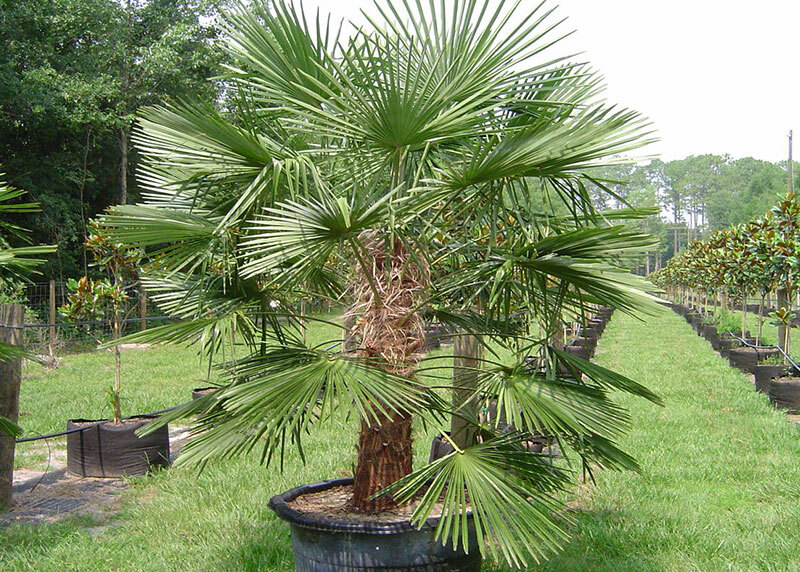 It is one of the most cold hardy palms available on the market today. Magnificent in stature, the Windmill Palm has beautiful fan-like fronds that are arranged symmetrically in a bunched group. This forms a crown of stunning green foliage that grows atop the trunk and can get to about 8 feet wide. Windmill palms are widely adaptable, and can be transplanted in most soils, however clay and hard rocky soil should be removed and replaced with a soil amendment. Dig the hole out at least 1'-2' foot larger than the root ball, and back fill with a good potting soil mix. Windmill Palm Placement: Plant the palm to the top of the root zone. It is very important that palm trees are not planted too deep. Add or remove soil until the palm tree is at the correct height, then add water as you back fill the soil. Watering Windmill: Palms Watering is very important to the survival and health of the newly transplanted palm. Keep the soil damp, but do not over water. Over watering can encourage root diseases. After the palm has been watered in good from being transplanted, all that is needed is to keep the soil damp. Fertilizing Windmill Palms: Fertilizer is essential for fast growth and maintaining healthy palm trees. This is not hard to accomplish with a fertilizer program Use a slow release fertilizer that has a 3-1-3 ratio of nitrogen, phosphorus, and potassium and apply every 3-4 months. Keeping your palms with a thriving tropical look!